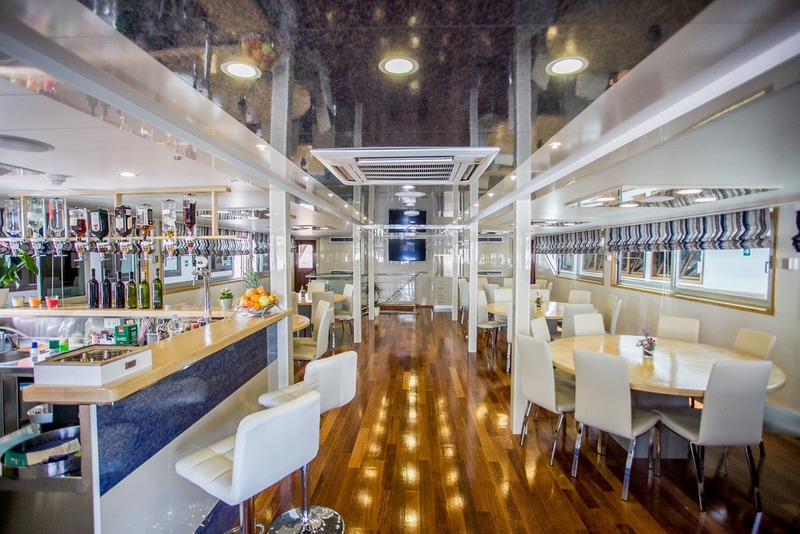 M/S EQUATOR will be docked in Split harbor where you can board during the entire day. Welcome meeting will start at 7:00 p.m. where you will be introduced by our Cruise director to the Captain, our crew and of course your future fellow passengers with whom you will spend a week on board. Welcome dinner will be served at 7:30 p.m. Morning departure towards Bol, said to have the best beach for swimming in Croatia named Zlatni Rat (Golden Horn). We will stop in Bol and enjoy this nice Dalmatian town for a walk, or to have a cup of coffee and take a swim till lunch is served on board. After breakfast we depart for a pleasant cruise along the shores of Mljet and the Elaphite islands where we will have a swim stop and lunch arriving to Dubrovnik in the afternoon. Arrive in Dubrovnik after lunch and then board a bus for a guided tour, which starts with a drive to a panoramic viewing point high above the city and then continues with a walking tour of the famous old city. 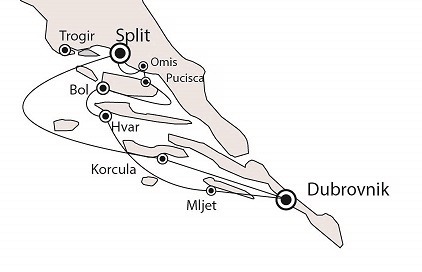 After breakfast we will cruise to the Mljet National Park, pass by magnificent shores of the Elaphiti islands archipelago, to the northwest of Dubrovnik, with a swim stops along a way. Lunch will be served on board while cruising to Mljet National Park. Upon arrival to the Mljet National Park, you will have free afternoon to explore park (entrance fees are not included), to walk around the Great and Small Lake and Islet of St. Mary with its Benedictine Monastery from the 12th century. Evening at leisure. Our voyage will continue towards Makarska with refreshing swim stops on our way passing by Pelješac Penninsula and its picturesque places on both sides, green with the olive and pine groves, vineyards and the low bush forests and Eastern side of Hvar Island. Lunch on board “en route” and afternoon arrival to Makarska on the mainland, “tourist Centre of Dalmatia” famous with it’s long beaches and nightlife, where we will spend the night. After breakfast we cruise across the Brač channel towards Pucisca. Pucisca is the island’s biggest village of the island of Brač with authentic Mediterranean architecture and rustic ambiance inside a deep fiord; shiny and white stone facades rising amphitheatrically uphill make this place so unique and worth seeing, famous for its quarries from which stone was excavated to build limestone columns of the White House in Washington DC, The Parliament house in Vienna and many other famous buildings all over the world. In Pucisce is only one Stonemasonry school in Croatia where students carve Brač limestone with traditional and unconventional tools that are used here for centuries. After a relaxed walk we will have lunch while cruising to Split, our first and last stop. Split is the second largest urban centre in Croatia and the seat of the Split and Dalmatia County. It is traditionally considered to be over 1,700 years old. Since 1979 the historic centre of Split has been inscribed on the UNESCO World Heritage Site List. The historical and cultural buildings are located inside the walls of the Diocletian’s Palace. 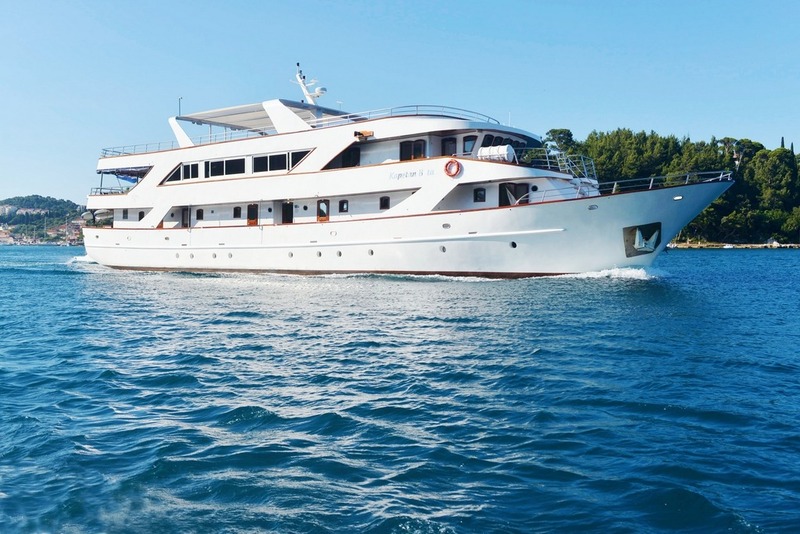 MS Captain Bota is a 40,60m long, 8,10 m wide luxury yacht-like ship that will satisfy your refined expectations for a comfortable cruise along the Croatian Coast. Built for the season 2015 with latest state-of-the-art equipment and amenities, guaranteeing intimate cruise for all guests. 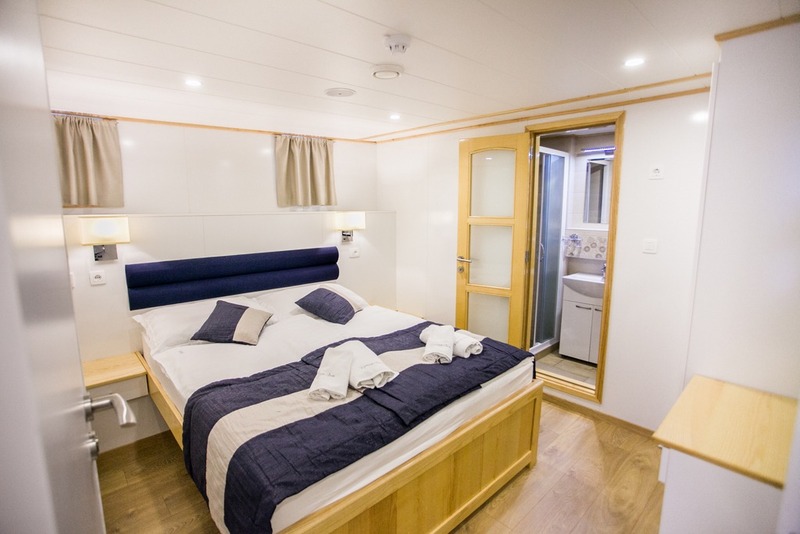 Modern non-smoking double or twin cabins are fully equipped with A/C, LCD TV, safe deposit box, Wi-Fi, fire alarm, smoke detectors, Shower, WC and bathroom toiletries, hair dryer, lifejackets, luggage space under the bed, cupboard & wardrobe cabinet with window or porthole. Extra-large “from side to side” fully air-conditioned salon-restaurant on the upper deck, with separate bar and lounge area, big screen LCD TV, corner table for buffet breakfast, Wireless Internet, loud-speakers and audio-system for announcements by Captain or cruise manager, beautiful large windows for complete passenger’s satisfaction. 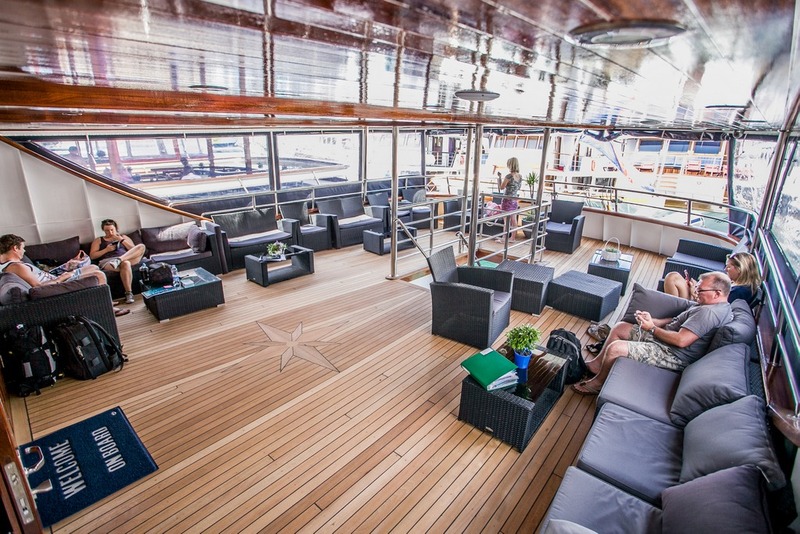 On the high deck is a sun deck that covers 250 m2 with sun-beds for passengers, while part of a sun deck is shaded for clients’ comfort. Here you can enjoy our Elegance Rooftop Jacuzzi, designed to ensure an unforgettable cruise.